ALPINE — The Daily Sentinel recently asked readers their thoughts about who would win the MLB All-Star Game. Throughout the polling, the National League and the American League ran neck and neck. Some readers, fans of Home Run Derby, claimed they didn't care about the All-Star Game. Apathy about a particular game is one thing, but the poll showed that more than 50 percent of our readers do not like baseball. This is not acceptable. Since learning the results of the poll, I have searched for an explanation, a reason why so many of our readers do not like the American pastime. Does this negativity come from watching televised baseball? Everyone knows that's torture. Listening to baseball on radio produces a more positive effect. But to enjoy baseball, to recognize it as a sport worthy of attention, one has to visit a ballpark, sit in the stands and watch a game. Understanding the essence of baseball, peering into its soul, requires active viewer participation. Recently, my husband and I visited Kokernot Field, where we watched the Big Bend Cowboys play the Texarkana Gunslingers. These teams are part of the Continental Baseball League, now in its third season of operation. This is baseball at its best. 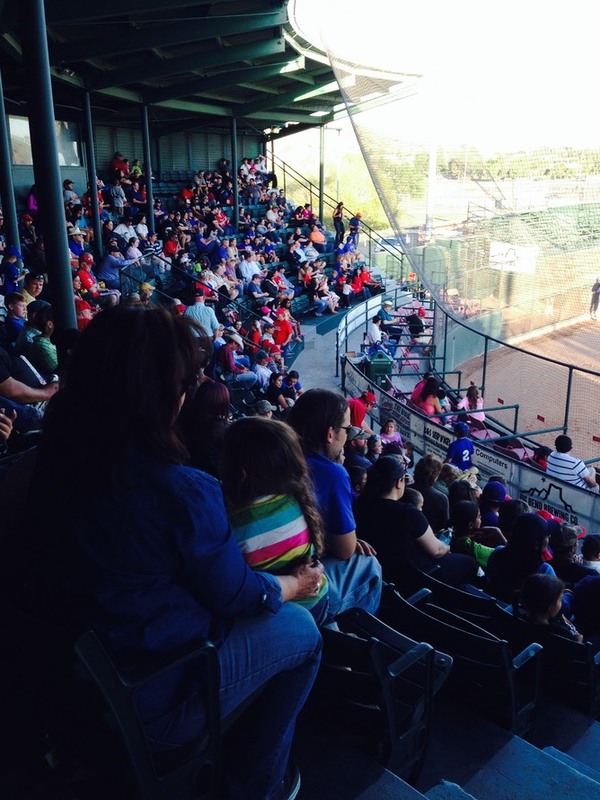 The league's mission is to create a group of independent baseball franchises — "hometown teams"— that provide professional baseball played in family-friendly environments at affordable prices. Who could ask for anything more? The game began at 7 p.m., the cool of the evening. Third row seats along the first base line cost $7 a piece. We silently studied the Gunslingers as they came onto the field. We stood and cheered when the Cowboys entered. We remained standing and sang "The Star-Spangled Banner." We ate hot dogs, drank ice cold beer, shared peanuts and popcorn. In between innings, while waiting for players to take the field, we danced the Macarena, we did the Hokie Pokie, we sang "Take Me Out to the Ball Game." Activities like these are directly linked to the essence of the game. The announcer introduced folks celebrating birthdays; we sang "Happy Birthday." He introduced the players' parents and grandparents visiting from New York, California and Illinois; we gave them "a big Texas welcome." Children were invited to the booth to help introduce the players as they came to bat. The evening was relaxed and familial. And holding it all together was the baseball game. Inning after inning, the score was 9-0 in favor of the Gunslingers. We kept the faith, and our belief was rewarded with five runs in one inning. Then with some well-placed hits, a run here, a stolen base there, the Cowboys tied the score at the bottom of the eighth. We went wild. Understand that the Cowboys are living with local families. When a Cowboy hits a home run, a hat is passed around the stadium. Money is collected and given to the Cowboy to help defray his living expenses. Don't you just love it? The Cowboys lost by one run in the 10th inning. But the final score (Gunslingers 10, Cowboys 9) didn't matter. Take it from a Cubs fan. There's always another game, another season. We cling "to that hope which springs eternal in the human breast." This evening, weather permitting, the Big Bend Cowboys play the Alexandria Aces. I think y'all know where we're headed.